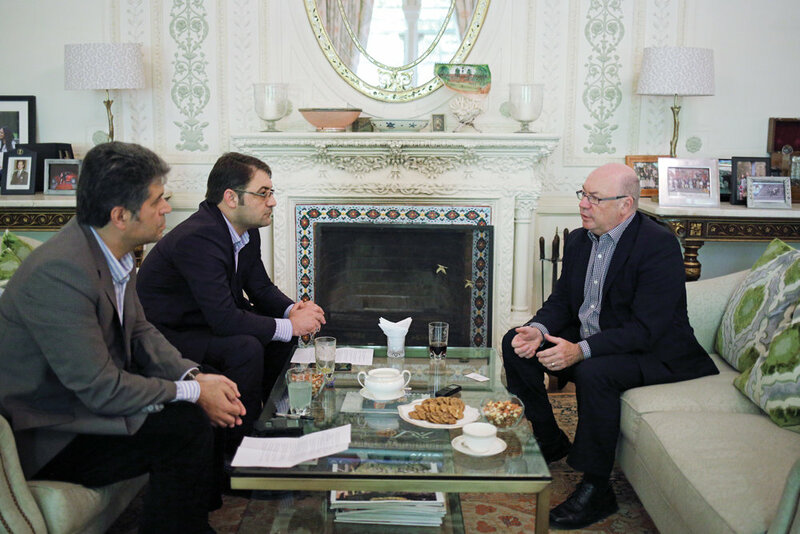 TEHRAN - UK's Minister of State for the Middle East, Alistair Burt, in an exclusive interview with the Tehran Times, reaffirms his country's support to the 2015 nuclear deal following the U.S. unilateral withdrawal from the agreement, saying the UK, along with the European Union, are doing all they can to provide the mechanism by which they can continue trade transactions with Iran. He also stressed that the UK is prepared to pay the costs of maintaining economic relations with Iran in the face of U.S. extraterritorial sanctions, noting the importance of having an independent foreign policy from that of Washington. "We will make our own decision," he said. However, he added, finding a technical mechanism to allow the continuation of banking transactions with Iran would not be an easy task and it would take time. The British diplomat further maintained that the EU and the U.S. will remain "good friends", but the UK is committed to maintaining a relationship with Iran. 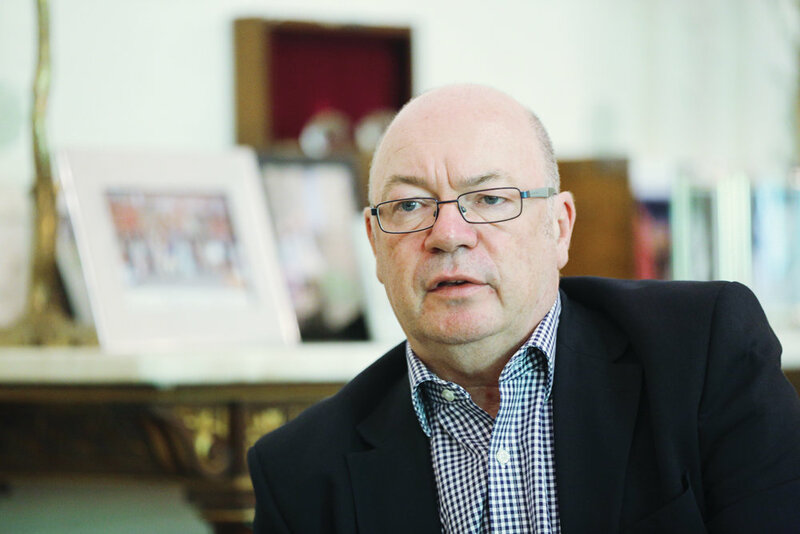 About a belief among Iranians that Britain is seeking to stir up unrest in Iran, especially through media outlets such as the BBC Persian, Burt said the UK is not seeking to do "covert operation" in Iran. Instead, Burt said he is being given the mission by the prime minister and foreign secretary to "build relationship" with Iran. Would you please tell us that what issues were raised during your talks with Iranian officials in Tehran? This is my third visit to Tehran in round about a year. The fact that I've been here three times means that the relationships I'm building gets stronger each time. I have lost count of the number of meetings I had with Deputy Foreign Minister Araghchi because we meet here, we meet in Europe, and we speak on the phone. Dr. Kharrazi, whom I met again this morning, I met him before. And I met, for the first time, the chairman of foreign relations committee. So the familiarity that we gain with each other is important to the United Kingdom and my approaches on behalf of the prime minister and foreign secretary are much about building relationship and being able to have through that relationship and the ability to look at those things that we share in common which are more than what people would think sometimes. And also provide the right platform for what we do disagree to be able to talk it through. And this is a region that matters a great deal to the United Kingdom, and Iran matters to United Kingdom. In terms of the questions that they covered, as you would imagine, they covered JCPOA and United Kingdom's position and relations to that, bilateral relationships which covers issues like consular matters, visas and issues such as that a look around in the region and what's happening in terms of events in Syria, Yemen, the Middle East peace process. I was able to see a little bit of culture when I met the director of the national museum because the cultural relationship between the United Kingdom and Iran is very good. At a very sensitive time in our relationship indeed, when we did not have diplomatic relations, I was responsible for signing the order to release the Cyrus Cylinder for the exhibition here. Because for me, personally, it was very important to our cultural relations continued even at a difficult time between nations. So the questions on the discussions and international issues came up; these were the main topics of conversations as we went round the discussions. Any special achievements? How successful do you assess your visit? I don't think you build a relationship on a series of outputs. The fact that I count my contacts as friends, those who I would meet in street anywhere and exchange word with. I think it is extremely important the fact that we understand each other. I think trust is important. And we will say things about which we disagree. That's inevitable. But that we say those things with sincerity, and the position is accepted as not being hostile but in explanation of position, I think is important. Now if you measure success in terms of building relationships, then those are positive outcomes and achievements from the conversations we have here, I go away with a clear sense of what is very much on the mind of the government and I hope my interlocutors have a clear sense of the responses of the United Kingdom. And we have all channels open as we look at a region and look forward to what we can do to deescalate tensions in the region and build on things that we can work on together. What is the approach of London toward the JCPOA and President Trump's withdrawal from the agreement? We made very clear both before the American announcement and after, that we regarded the JCPOA as a commitment to honor. We recognized that Iran has met the compliance conditions in relation to its nuclear program. We strongly support the work of the IAEA. We regarded as significant that Iran has met its obligations. I'm also regarded that it's extremely important that Iran continues to meets its obligations; that's fundamental to relationships built around it. We are doing all we can in the European Union to make sure we can provide the mechanisms by which our trade can continue. This is not easy. We know that there is frustration. It is not an easy time for the economy in Iran, we understand this. There are other issues going on, there are reforms that are needed in banking. The decision of the United States doesn't make it easier. We are very determined in the European Union to find mechanisms and at the same time we are still encouraging our businesses to be involved. They have difficult commercial decisions to make; I understand that but our determination remains as it was when we signed JCPOA. This matters and when you give support to something, then you should stick to it. What are the economic, political and security importance of the JCPOA for the UK and EU? It is very important. We are all aware that this was not an agreement signed in haste as a whim; it took years of negotiation. There were difficult calculations on both sides but nuclear proliferation is fundamental to the security of the world. The Nuclear Non-Proliferation Treaty has been a success at a time when the world is looking for international norms to cling on to, like the Organization for the Prohibition of Chemical Weapons which of course must mean a great deal to Iran having suffered from that during the Iran-Iraq war. So the Non-Proliferation Treaty is important. Making sure that nations abide by it, to have access to peaceful use of nuclear energy but do not do anything else, is really important. So for us the signing of this treaty was very important and I know that for my EU colleagues as well. The meetings we had since the American decision and recently in Vienna with Foreign Minister Zarif and Deputy Foreign Minister Araghchi where we recommitted our political determination to keep things going. So it is of great importance to us both in economic and security terms. To what extent is the UK ready to pay for the costs of keeping the JCPOA alive despite the U.S. pressure? On this issue the UK as the U.S. ally pays the costs of the disagreement. It is very clear that the U.S. would like all to follow their lead and abandon the JCPOA and we are pressed to do so. It is not our view so we are very clear that we will make our own decision and we are very determined to do so. We are working on the economic side of it. We are working to find a technical mechanism that will allow the banking system to continue. This is not an easy process. It does take time. It cannot be achieved very quickly. We are working very honestly on that. We have realized that there is cost in our relationship but we are prepared to pay the cost because it is the independence of foreign policy matter. Why do you think that this process is not easy? I am not a technical expert to talk about this. They are trying to put together a banking mechanism in Europe. And remember that the world banking system is interconnected, and the reach of American financial institutions is very long, and people have mutual obligations trying to find a path through those that secures those banking arrangements to make sure that they can be fulfilled in relation to European, and Iranian connections outside the reach of any U.S. sanctions is not technically easy. Does the UK exit from the EU affect the UK relations with the U.S.? Not really. There is a difference of opinion and difference of policies between the United Kingdom and the EU and the United States. It is not the end of relationship between the EU, the UK and the United States. It must not be considered as a possibility of that. We disagree with our partners on important issues. The United States is still a great partner of the United Kingdom in a whole variety of ways. But when we think something is wrong, say the example of United States' moving of its embassy to Jerusalem. At a time when there is not a conclusion to the Middle East peace process, we thought that it was wrong. We are prepared to say so. But the EU and the United States will remain good friends. But this is not a zero sum game. Remaining in a close relationship with the United States is not at the expense of the relationship we wished to have with Iran. And we will work on that. That relationship is dependent on the whole series of other things. So, do not confuse the two. We can maintain relationships with the United States and relationship with Iran. And that is what we will continue to do. How do you see the future of the JCPOA and relations between Iran and the EU, especially with the UK? Firstly, my sense is that there is a determination all around to work to keep the JCPOA in place. I think it is understood here as in London how important it is. It is under pressures and restraints; we know that. Iranians are doubtful of the will of the EU to keep the JCPOA alive. Given all these obstacles that are on the way, how feasible is it to keep it alive? And, how do you see the future of the agreement? I would suggest your readers, if they doubt the sincerity of the EU. We had weeks to walk away. We could simply have accepted the Americans' leaving the agreement and it would have no longer mattered. We could have said there and then, well we are very sorry there we are. We did not, we have had time over the last few weeks. We could have said, well we worked very hard, we are not going to continue. But we have not. There is no reason to doubt the sincerity and the determination of the EU to fulfill as China and Russia. But it remains fundamental. We must all do our best to fulfill the provisions. That includes compliance with the nuclear arrangements as certified by the IAEA. But there is no reason to doubt the sincerity and the determination of the EU to continue with this. I see no evidence; I see a lot of hard work by my colleagues trying to find the mechanism that will assist in terms of the economies. I do not see any lack of will. I do not think that will be detected by any of your readers. Germany and France have announced that they are going to establish a new financial mechanism to deal with Iran. Does the UK support it too? We are working collectively to find mechanisms to support our businesses. Yes. How do you see the future of the relations between Iran and the UK? In which way do you think it can be much better than now? Good, remember it is not that long ago I could not have been sitting here to have this interview as you know. It has been within my time as a foreign minister that we have been up and down and back up again. So it is good that I am here. I like my conversations here. I like an opportunity to discuss with a state with a country that has such an extraordinary history, three thousand years of history and influence in the region. How it sees the region and how that history is used in contemporary sense, bearing in mind the nature of the government here and the nature of the government in state roundabout. I have colleagues in the parliament who have been here regularly. The Anglo-Iranian business and corporation, we have the cultural relationship. And, you know, we have a first rate ambassadorial team and colleagues who work right across the board in the things that we can do together. These are all fundamental of relationship. So the short answer to your question is that "how do I see the relationship": good. If we could not talk about things we do not see the same way, well that would be illustration of poor relationship. It is not illustration of poor relationship to have disagreement. It is the illustration of poor relationship if you cannot talk about them. And we can. But we should not magnify those, we should look at those areas of conflict in the region and say what we can all do to try to deescalate the conflict and the risks that we share together. As you know the relations between Iran and the UK has had ups and downs and this relationship has been suffering from historical distrust. In recent years, many believe that the UK tries secretly to affect Iranian internal affairs in different ways like supporting unrest in Iran by media outlets like the BBC Persian to weaken Iranian establishment and pave the way for regime change. What do you think of this? Is there a program in London to boost trust between London and Tehran? Well, firstly, let me give a short answer to the allegations that are made and be very clear. We do not do what was alleged in your question. We have no plans to do so and we have no covert operation to do it. And we reject very fundamentally allegations in relation to specifically BBC Persian Service. It does a first rate job. It works to convey the news to people. And there is no evidence and no desire in the United Kingdom to do anything that would fuel these concerns that people have, quite the contrary. So you ask "what's our program to build up trust". You know, I suppose you can. My engagement, the engagement of Boris Johnson and when he was the foreign secretary to make a visit here and see foreign minister Zarif. There is the upcoming visit of my own foreign secretary who would be coming in here with the opportunities in New York when people get together. These are opportunities where people meet up and discuss their opportunities to build trust. And we should all do our best and try to deescalate the allegations of mistrust that are too easy to run these days. We live in a world of fake news and everything else where it is easy to run suspicions. Let's look at facts and evidence and I would ask readers to say. There is no evidence to suggest that this sort of worries, that people may have, have any foundation. Are there any differences between the U.S. and the UK regarding the developments in the Middle East, I mean Syria, Iraq, Yemen, Bahrain and the Deal of Century? Well, look! We can have half an hour on each one of those. There are, to trying answer it shortly, differences of policy between United Kingdom and United States but there are many areas of agreement. We'll want to see a stable and secure Middle East. We are very aware of the potentials of confrontations now between different elements in the region. And we all want to work actively to deescalate those tensions. And they are different in each place. Two or three as an example; Syria: Syria will come to a conclusion. The fighting is likely to be ended relatively soon. We strongly support a political agreement and settlement that would mean the future of Syria for its people and those refugees returning will be secure. That would mean the present regime cannot operate as it did prior to 2011, and has got to operate in a way which its people feel secure and safe, and we would look to friends to support that in Yemen. It's essential that conflict comes to an end as quickly as possible. We strongly support the efforts of the UN special envoy, Martin Griffiths, and again, everyone knows the conflict has been deeply distressing for the people of Yemen, and we must do all we can to end the conflict. All of us with influence on different parties there should seek to do so. Middle East peace process is fundamental to the United Kingdom. Of course, we have a long engagement with Israel and the Palestinians, as is well known. So it matters to us fundamentally that there is a just settlement to the issues between them. We support the two-state solution. The issue of Jerusalem is for negotiations between the Palestinians and Israel. We do not accept the United States position that is somehow off the table. We will continue our support to the Palestinian people through bilateral programs. But we don't regard the Middle East peace process as something that has been going on a long time and can go on forever; it's essential to us that it comes to an early conclusion, and we will work really hard for that. Now in each of these areas, we join with the United States in a broad determination that these areas should be secure and conflict should end. We may have some differences in position, but essentially we see that the same. But we don't see that our partners in Iran are fundamentally in a different place. We all want to see a resolution of the conflict, and an opportunity where extremism and terrorism does not flourish, as it threatens us all. And we want to work together. And we are very keen to see when that can be done. You talked about Yemen, but I know that the UK government continues to sell weapons to the Saudi regime. There is a difference between the statements of the UK regarding Yemen and the human rights issues and the European country's behavior. And what is the general approach of London toward the developments in Bahrain and the democratic demands of its people? Bahrain has been in the process of reform for many years and prior to the events of 2011; since 2011, we have worked with the government of Bahrain on this reform program with providing technical assistance; we believe it is important how that reform program goes on; it is important that the process goes without violence being directed against the Bahraini government and against the Bahraini people; and we will continue to work with Bahrain as a good partner and strong partner of the United Kingdom; and we want the reform program will continue to make sure that Bahrain's government works with all its people who count on their identity strongly as Bahraini rather than anything else; we will continue to support that. Is there anything else that you like to add at the end of this interview? No. I think you asked a good question at the beginning that gave me the opportunity to express my thanks to our interlocutors here in the government; they have been very generous as I see a lot your minister in different places and I appreciate that and that's good and I was also able to make references to the other meetings that I had here; so I am going to see the programs in Iran to talk about the works done here for the Afghans which again is not easy for your government. So you gave me good opportunity to answer your questions, thanks you very much.